Ready to start using the OpenLab? 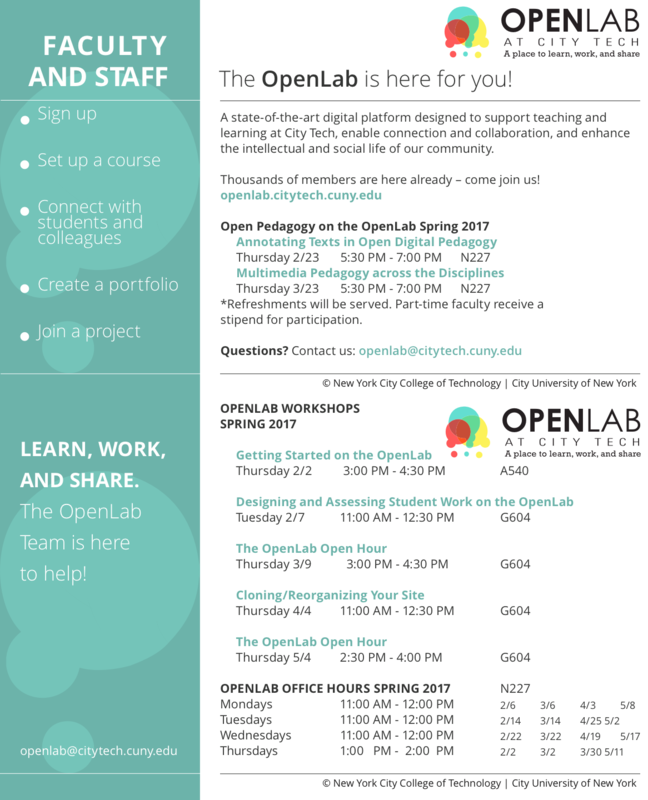 This workshop introduces you to some of the exciting features of the OpenLab and helps you sign up for your OpenLab account and create your OpenLab profile! Please note: Access to your City Tech email required!